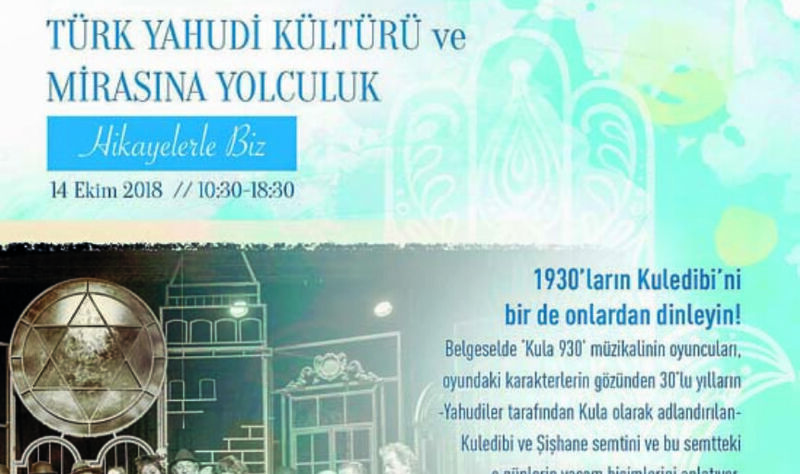 European Day of Jewish Culture which has been organized annually since 2001, will be hosted once again by The Quincentennial Foundation Museum of Turkish Jews this year, on Sunday, October 14th, between 10.30-18.00. The events will take place at Neve Salom Synagogue and the Quincentennial Foundation Museum of Turkish Jews. The theme of this year’s European Day of Jewish Culture is “Storytelling”. The visitors will have the chance to learn about Turkish Jewish culture, traditions and cuisine. The all-day programme will include a variety of events including Sephardic cuisine workshops, documentary screenings, concerts, book chats, exhibitions, etc. At this year’s “Come, Let’s Meet” section, visitors who wish to get to know Turkish Jews better will be able to meet Jewish individuals in person. In the name of overcoming any prejudice with regards to Jews, visitors will have the chance to ask these individuals all kinds of questions and interactively share information. There will be various guest speakers at the event. Author and Salom writer Bahar Feyzan will be among the guest speakers. Feyzan will tell the story of women of Struma Vessel, which is also the theme of her latest published book “My name is Nisan”. Moris Levi, Yusuf Altintas and Sara Pardo will also be speaking at different chat sessions. Acclaimed author Naim Guleryuz will launch his latest book, “Jewish Settlements in Thrace and Anatolia Throughout History” and give a short presentation. Semes Karmiel Dance Company will give a dance performance during the event. Alberto Modiano’s “Kula”, Eytan Ipeker’s “Lace Dealer”, and Deniz Alphan’s “A Fading Language, a Fading Cuisine” documentaries will be screened. Visitors will also enjoy various exhibitions which they will be able to see throughout the event. Admission to the one-day event will be free. For those who wish to attend please visit www.muze500.com and fill out the registration form.